Search Engine Optimisation (SEO) is the process of improving the position of a web page in online search results. Search engines, such as Google, Yahoo or Bing determine the position of web pages in the search results based on complex algorithms. These algorithms takes into consideration over 200 different factors such as web page content relevance to the search terms, page authority(quality of links), page popularity (number of links), freshness of content and even page loading speed. These factors can be grouped into two main areas, on-page factors and off-page factors. On-page Search Engine Optimisation involves primarily editing the content of each page and associated coding, with the aim of increasing its relevance to specific keywords, and therefore improving its search engine ranking. Off-page Search Engine Optimisation involves promoting your website through article marketing, directory listing, video marketing and other ways, so that your site grows in popularity and acquires links from other sites. The number of links from other sites and their quality, increases website rank and authority, and results in better positioning of your website in the search results. If you already have a website that does not appear in the search results, it probably needs to be properly optimized and promoted. Search engine optimisation is a complex and laborious process. Unless you have an in-depth knowledge of all of the above, or you can afford to employ an experienced professional, we strongly advise you to outsource this process. All websites created by us, come with on-page search engine optimisation included in the web design package price, so you don’t have to buy this service separately. The cost of on-page search engine optimisation is not that high, unless it involves extensive re-writing of the website content or the navigation and page naming is so bad that the website needs to be re-built from scratch. You will need to invest between €400 – €500 to optimise a small 8-10 page website consisting of a home page, 4-5 content pages and 3-4 other pages . This price includes a comprehensive website review, keyword research, competition research, creating a SEO plan and improving various aspects of your website to improve its search ranking. If there is insufficient content on your website (less than 400 -500 words per page) or the website is so badly structured that it needs to be re-designed and the content re-written, then the cost will obviously be higher. 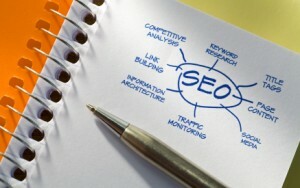 How soon will you see the results of Search Engine Optimisation? If you have a properly constructed website, that is indexed regularly, the results of on-page SEO can be seen pretty quickly, sometimes within a couple of days. If there is not too much competition for your targeted keywords, on-page search engine optimisation alone can be sufficient to get you to the first or second pages of the search results. When there is a lot of competition for a particular search term, off-page search engine optimisation and website promotion (search engine marketing) will probably be needed. The cost of off-page SEO (website promotion and link building) starts from €400 per month and it can take between 3 – 6 months to see any noticable results. Search Engine Optimisation is essential to the long-term success of your online marketing. 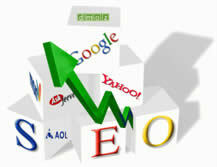 If you would like us to optimize your website in order to improve its ranking in the search results, contact us. Using sophisticated SEO tools, we can X-ray your website and see what should be done to lift it out of obscurity. The review process is quick and serves as a basis for quoting the price and the time scale to achieve the results you desire. The cost of the comprehensive Website Audit is only €90 and it is fully refundable if you decide to have the website search engine optimised or marketed by us. The results of Search Engine Optimisation are measurable and it is relatively easy to calculate a Return on your Investment. To learn more about it, read our Online Marketing blog article –“Search Engine Optimisation Case Study” .